On behalf of Admin of JML Law, A Professional Law Corporation posted in Product Liability on Monday, Mar 26 2018. A man who got deadly cancer after using Johnson & Johnson talc powder was awarded $30 million in compensatory damages. 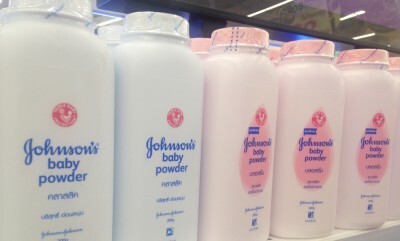 J&J is best known for such products as Clean & Clear, Johnson’s baby products, Neutrogena, Tylenol, Band-Aid, and others. We asked our Los Angeles product liability attorney from the JML Law to review the multimillion verdict against the consumer packaged goods giant whose products are sold all across the United States and in other more than 175 countries. A jury in New Jersey ordered Johnson & Johnson and Imerys, talc mining company, to pay $30 million in compensatory damages to Stephen Lanzo, an investment banker who had used the company’s talc powder products for more than four decades. Lanzo’s wife was awarded $7 million in damages. How was Johnson & Johnson negligent? Lanzo filed a product liability claim against Johnson & Johnson claiming that his regular use of J&J talc powder products since 1972 caused him to develop an often-fatal lung cancer linked to asbestos. Lanzo and his product liability lawyers argued that the man developed the deadly cancer after inhaling dust from J&J talc powder products. After a quick analysis of the Lanzo vs. J&J (2018) case, our best product liability attorneys in Los Angeles concluded what served as the driving force behind Lanzo’s success. The claim was successful thanks to not only presenting documented evidence of Lanzo’s gradual development of deadly cancer throughout decades, but also his lawyers’ argument that officials of Johnson & Johnson and Imerys were concerned that their talc powder and other products were contaminated with asbestos since 1969. What should YOU do after the verdict against J&J? Our Los Angeles product liability lawyer warns that if you have been a regular user of J&J’s talc powder or the company’s other products throughout decades, it is highly advised that you go through a medical evaluation in order to rule out the possibility of developing cancer. In fact, it would not be a bad idea to undergo a medical checkup even if you were not a regular user of J&J products. If your medical evaluation shows that you have some form of asbestos-related cancer, seek the immediate legal advice of our attorneys at the JML Law. You deserve to be awarded millions of dollars in compensatory damages like Mr. Lanzo and his wife. If J&J was negligent in manufacturing its products, specifically its talc powder products, it is paramount that you speak to our attorneys about how to file a claim in order to recover damages for your injuries and trauma. Being diagnosed with cancer is an extremely distressing experience. However, filing a product liability lawsuit against the manufacturer or company that may be strictly liable for your injuries, trauma, and pain and suffering, can help you recover the costs of medical treatment. In fact, the cost of medical expenses associated with treating cancer caused by a defective product can be very high, not to mention that pain and suffering and prolonged suffering can also be compensated if you are represented by a Los Angeles product liability attorney. Here at JML Law, our lawyers are prepared to answer your questions regarding California’s product liability laws 24/7. Let us help you get the compensation that you truly deserve. Do not let negligent companies get away with their wrongful conduct. Call our Los Angeles offices at 818-610-8800 or send us an email to get a free consultation.